The ideas and information are not yours. You are simply reporting out factual information. You may learn something new, but you are simply reproducing what you find. What are the symptoms of post-tramatic stress syndrome? When was the cell phone first introduced to the public? Where can hand guns be used for hunting? How were helicopters used in Vietnam? 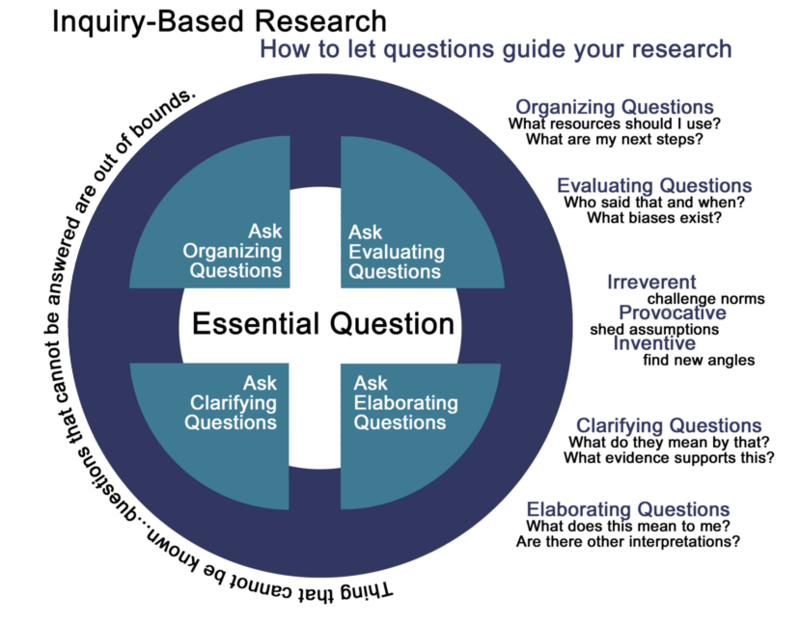 The nature of your inquiry depends on the question(s) asked. The question asked will suggest personal connections and generate unique answers. Who is the most powerful man in America? Which treatments for cancer are the most humane? When should youth be allowed to vote in federal elections? What is the effect of technology on teen literacy? How do athletics impact student achievement? * Special thanks to Lora Cowell for permission to use these terrific graphics.